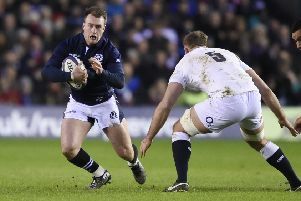 The South of Scotland Sevens squad to take part in the Braidholm 7s on Saturday has been announced with co-captains Andrew Skeen and Bruce McNeil leading the team. This is one of only two Sevens tournaments which The South will be playing in during the close season; the other being the Chester 7s on June 17. With injuries to players and some unavailable it means there’s opportunities for others to step up. Gala lead the way with four in the squad including Ross Combe, Graham Speirs, Dwayne Burrows and Craig Robertson. Robbie Chalmers, Bruce Colvine, Ewan MacDougall, Mikey Davies, Keith Davies and Rory Marshall complete the line-up.